When Mom Grows Up – So what do I want to be when I grow up? When I started blogging a few years ago, my hope was to simply have a place to chronicle and share things that were happening in my life. My focus was just to vent, write when I felt like writing, and learn about the world of blogging. I was a stay-at-home mom living in Alaska with six children and my wonderful husband. My life was indeed blessed. My life continues to be blessed, even as I look at the prospect of sending my oldest two children off to college in a few short months. My younger children will all be in school for 5 days a week (half-days for my youngest next year) and we likely will be looking at another move with the military this time next year. Things are changing, and they are changing quickly. Change is inevitable in life. I actually welcome it. Having grown up in the military, I am used to it and thrive on the excitement that comes with change. Thank you for being a reader of my blog. If you have any tips, tricks, suggestions, or advice as I change up a few things, I would welcome them. And please be on the lookout for coming changes! 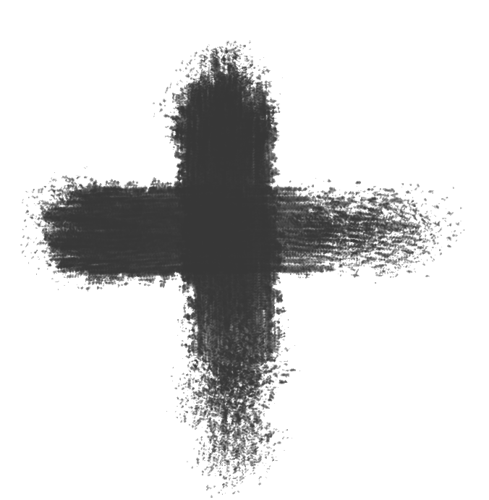 Lent is upon us again, and it has hit me like a ton of bricks this time. Well, I have been pretty remiss in my spiritual walk lately. In fact, I have been practically absent when it comes time to spending time with God. My prayer time has been non-existent, and I have just barely made it to Sunday Mass (some weeks, I haven’t even done that…which is a BIG no-no for us Catholics…at least without a very, very good reason). The funny thing is, I have noticed the other areas of my self-care have been non-existent as well. Keeping the house orderly? I can’t even go there right now. The answer to that question is what hit me so hard. I have moved so far away from the things that I know are important and meaningful and valuable in creating a rewarding and fulfilling life. Now, orderly closets don’t necessarily make me happy. 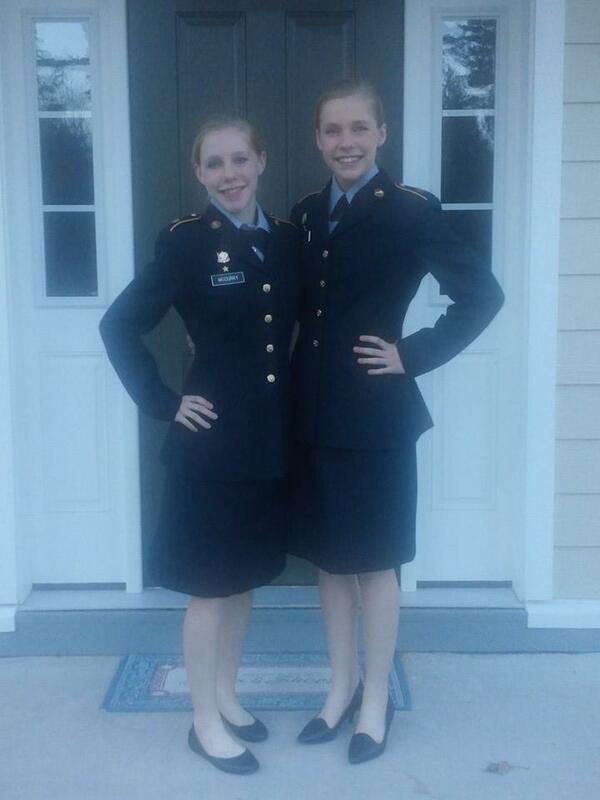 But not having to argue with the teenagers about where their JROTC uniform skirts are…THAT makes me happy. Eating broccoli instead of Tostito’s doesn’t float my boat, but it does make me feel better later when I try on my jeans. And prayer time may not be as exciting as Facebook, or socializing, or whatever, but it centers me and makes me feel more alive and appreciative of my surroundings. And THIS is what leads to real fulfillment, purpose, or whatever you want to call it. Unfortunately, I think we Americans focus too much on trying to be fulfilled in our everyday mundane tasks. We have this idea that if we aren’t being “fed” by our jobs, then we should be looking elsewhere. We want every day to be filled with purpose and profound meaning. But sometimes, we just need to wipe the three-year-old’s nose, put the groceries away, or do the gosh darn taxes. The phenomenon of “seeking purpose” was demonstrated in a little article called Why Generation Y Yuppies Are Unhappy I stumbled across on Facebook, of all places. And it has caused more dissatisfaction than satisfaction. Read the article here on the creative blog “Wait But Why”. I don’t know about you, but I can identify a bit with “Lucy”. But I would rather not. There is so much in life to appreciate. I have wonderful friends, the most amazing family, and blessings beyond compare. And I will pray for you on your Lenten journey! Yep, the holidays. That beautiful, magical, fanciful time of year when creepy elves hide on shelves to play “Big Brother” to unsuspecting children, family dysfunction climbs to its annual high, and parents everywhere announce “Kids, we are scaling back this year in order to keep our focus on what the season is all about,” while simultaneously stretching the limits of the gold card that they had sworn (back in January) would be paid off by the end of the year. Don’t get me wrong. I love the holidays. Christmas is my favorite time of year, and I actually don’t mind decorating early so that I can enjoy the season as long as possible (although my Catholic guilt has me saying, “you know…it really is Advent…it’s not really Christmas until Christmas Day”). I digress. Anyhoo…it dawned on me, as we were pulling out the Christmas decorations last week (yes…a week before Thanksgiving) that this would probably be the last time my twin daughters decorated for Christmas with us. Next year, they will be at college. And while I assume they will come home for Christmas, it won’t be early enough for them to be part of decorating. As I was thinking about this, I asked myself, what do I want my girls to remember about their last Christmas living at home? Stress? Money worries? Arguments? Of course not. I want them to have some happy memories to carry with them as they embark on adulthood. But I knew that unless I was intentional about stress management, this year would be a repeat of stressful years gone by. So I decided to come up with a list of strategies to help simplify my Christmas. These are not profound or earth-shattering. But they are doable, and I really believe they will work for us. 1. Keep cooking simple. I’m not really sure whose idea it was to try new recipes during the holidays. But there seems to be a plethora of blogs, websites, cooking shows, and magazine articles about new holiday recipes or ways to “lighten up that holiday meal.” PSHAW! I plan to use full-fat, full-sugar, totally yummy recipes to make all of the traditional items that my family loves. Forget trying to be gluten-free, organic, free-range whatever. If a Butterball turkey slathered in real butter and mashed potatoes with real giblet gravy was good enough for my grandmother, it’s good enough for me. 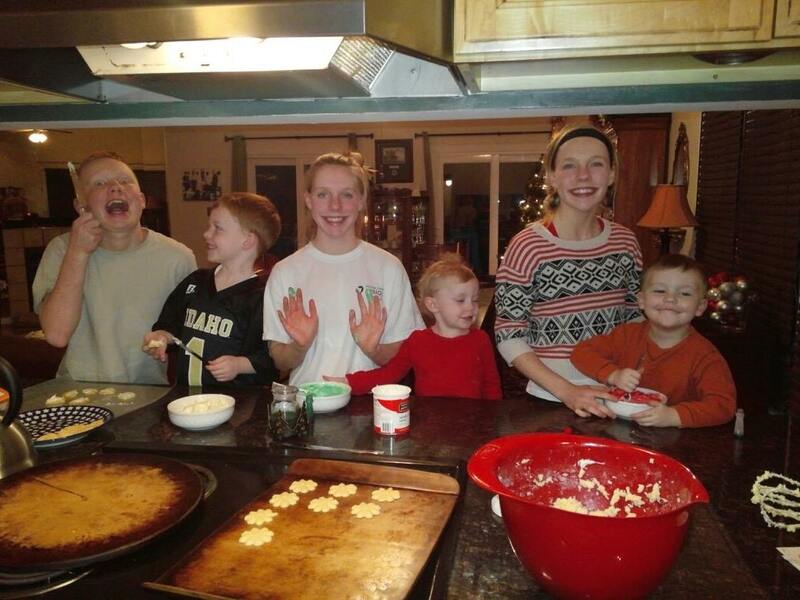 And yes, I will be baking my family’s favorite cookies…not trying a bunch of fancy Pinterest stuff. 2. Keep shopping easy. No Black Friday crowds for this girl. Amazon Prime…I love you. 3. Lay out expectations (early). We have plans to visit family. But we have already explained that we plan to relax. We do not wish to be paraded around to a bunch of different functions. We want to plant our fat, happy rear ends on the couch, watch football, let the cousins play together, sleep in, and play Pinochle until the wee hours of the morning. 4. Allow for some stress. I think mental judo is called for when it comes to the stress of the holiday season. There is bound to be stress. Weather and crowds make travel challenging. People have different ideas of what is “fun.” Financial stress hits. And memories (good and bad) flood our minds and hearts. If we resist all stress, we find ourselves with that ulcer that I mentioned earlier. But if we accept that things may be stressful at times, allow ourselves a good cry (and a wee bit ‘o Papa’s homemade egg nog) then it can wash over us and be placed in proper perspective. I certainly don’t have all the answers. But after 40 Christmases on earth, 20 as a married woman, and 18 as a mom, I am starting to figure things out. I’d love to know what strategies you use to keep stress at bay during the holidays. Feel free to comment below. And have a Happy Thanksgiving and a Merry Christmas! Yesterday was Veterans’ Day…now what? This is a long post, but I ask that you read to the end. We military families need help. Many of us spent a significant amount of time pouring over our Facebook Timelines reading posts about veterans and thanking them for their service. And rightfully so. But what are we doing today? Those veterans who have been wounded, physically, mentally, or emotionally, have to get out of bed and continue to cope with their wounds. They will go to physical therapy, speech therapy, counseling, surgical pre-op appointments, and follow up exams. For them, November 12th, 13th, 14th, etc. continue to be Veterans’ Day. 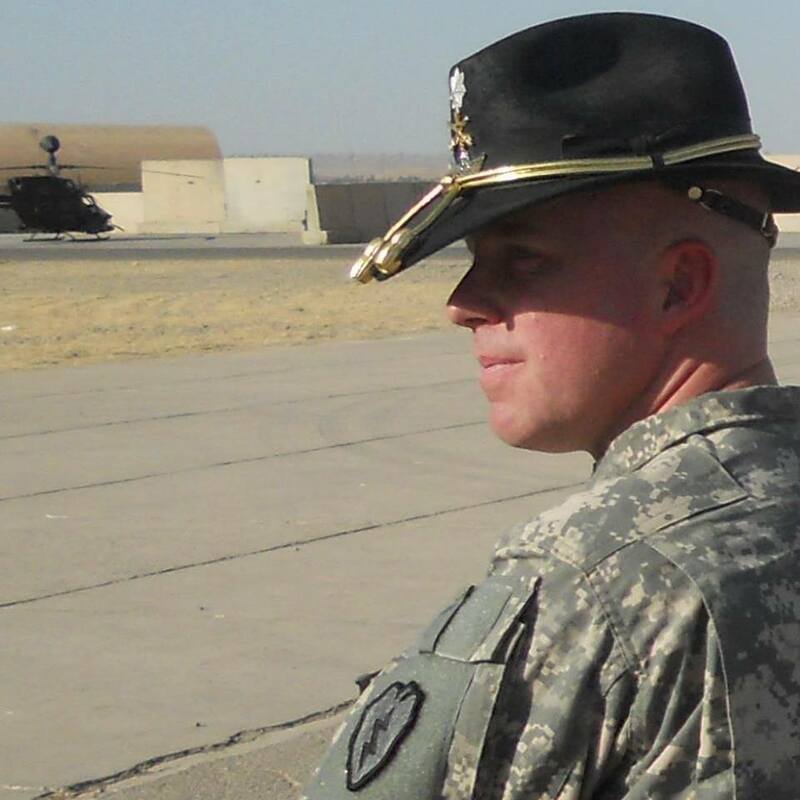 Being a veteran or the family of a veteran is not easy. No one ever said it would be. And I think that those of us who are in that position accept that as fact. For example, yesterday many of the posts on my facebook timeline heralded uncles, grandfathers, brothers, sisters, mothers, cousins, etc. as veterans. It amazed me how so many families had so many veterans in their bloodlines. 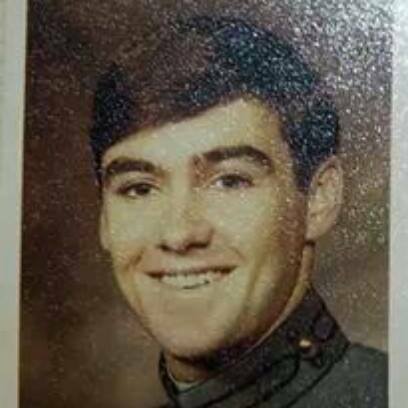 Fellow Army wives posted pictures of themselves in uniform before they became Army wives. For many of these, I had no idea they had served! And as I get older, I am seeing more and more pictures of military children who are growing up and are planning to enter the military themselves. They understand the realities. They know they have a good chance of being gone for holidays and birthdays. They know that they are “signing a blank check” with their lives to the United States. And yet, they understand the importance of doing so. But there are those out there who would detract. Upon announcing their intent to apply to the United States Military Academy, my daughters have been met, over and over again, with frowns and questions. “Are you SURE you want to do THAT?” people ask. “You are so smart. You could do ANYTHING.” they say. As a military family, we let these things roll off our backs. We are used to these kind of statements. But I worry about the kids who want to enter the military who don’t have supportive families. I understand that there is real fear in this unknown. They are offering to stand up and do the bidding of our nation, to answer the call of their civilian leaders and the people of this country, whether or not they agree with the motives or premises. They are truly giving and serving. Please, if you are a family member of someone who is considering military service, whether it is enlisting, applying to an academy, or applying for an ROTC scholarship, please do not plant seeds of doubt. The military experience itself will be tough enough and will weed out those who really aren’t meant for it. Right now they need your support or at least your willingness to learn more. Unless more families are open to their children pursuing military service, the burden will continue to fall on fewer and fewer families. And these families are stressed, worn, and in need of some backup. Don’t get me wrong…most of us would not leave the military life by choice. We are proud and we have learned to be strong when we need to be. And we are compassionate as can be when a fellow military family is suffering. But our ranks are shrinking. Please, in the aftermath of yesterday’s celebrations and outpourings of gratitude, support someone in your life who is considering military service. Help them to learn more about it before bringing up the obstacles. As a mom, I know it is scary to think about your son or daughter being in harm’s way. I get it. But, someone has to defend our great nation, even with all her flaws. And we will be a stronger military and indeed a stronger nation if more families, rather than fewer, are invested in the defense of the country’s interests. Today I actually took the time to walk into the education center at the local library here. Since this is a military post, there are many resources available to help Soldiers and family members pursue education in order to enhance and nurture their careers both while in the military and after they retire or separate from the service. I feel so behind as far as getting myself ready to enter the work force, that I have no idea what to do. There are degree programs that I could pursue, but I am not in a place to invest a lot of time or money into my education right now (getting ready to put kids through college, even with a couple of them getting accepted to West Point, is a bit daunting). That’s how I feel about inspiration, health, empowerment, and counseling. I struggle with being motivated and inspired in my own life, but I do tend to be good at helping others to do these things. So, this is the direction I want to go, in some capacity. But, after 18 years of “stay-at-home-motherhood,” this is scary. I don’t even have an updated resume or references at the moment. So, I am going to take a class that will help me build my resume. And I am going to start looking for opportunities to work in the area that love. Wish me luck, and please share any tips or tricks you have for getting back into the workplace after a prolonged absence. Yesterday began the month known as “NaNoWriMo.” Anyone who has delved into the world of novel writing knows that this means “National Novel Writing Month”. The idea is to, however sloppily, write an entire novel in the month of November. Yes, you heard me…an entire novel in one month. And the funny thing is, people actually do it. Yes, they are aware that Thanksgiving is this month. And Christmas is next month. Yes, they have jobs. And families. And doctors’ appointments. And houses to clean. And meals to cook. And friendships to nurture. But they also have writing goals. These are things that are important to them. And they are willing to go full force, pedal to the metal in order to meet this goal this month. For the past three years, I have wanted to take part in this event. But there is always something stopping me. I usually blame the time constraints of having a big family, a husband whose job requires a lot of time and volunteering on my part, and any other detail of life on which I can hang my convenient little excuses. But it’s really that I am afraid. Well, then, if I let that stop me, then I am going to be no better off next year than I am now…in fact I will be worse. I have missed the first day of NaNoWriMo, 2014. But there are 29 days left. And so, I am going to quit blogging (for today) and open up a Word document and go for it. Putting off things that bring joy? I have not blogged regularly in several months, and I admit that I miss it. This gets me to thinking: Am I the only one who seems to put off those things that really bring joy and meaning to life? Or is this a common phenomenon among mothers and other nurturers? If I had to guess, I would say that the latter is true. For some reason, we have this idea that if we are enjoying an activity, it must not be worthwhile. We think that something must feel “sacrificial” in order to be of value. And we spend time comparing how busy, tired, overwhelmed, and self-sacrificing we are with others…as if being rested, energetic, and peaceful means we are doing something wrong, selfish, or excessively indulgent. I don’t think that this is how we are meant to be. And yet it is so easy, as mothers, to slip back into this mentality. The needs (and wants) of the little (or not-so-little) people in our lives seem to take precedence over our needs and wants. And as parents, we understand that it is our responsibilities to attend to our children’s needs. How to do that? That is a subject for a much longer blog post.